With the heat from the chilli and that umami goodness from Knorr Liquid Seasoning, this chicken liver promises to have a nice kick! 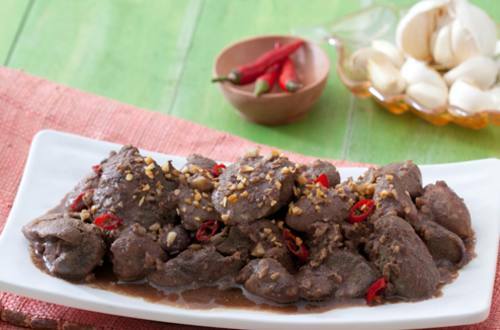 1 This fast and easy dish of spicy chicken liver will cook in less than 10 minutes. First, you need to grab a pan and get it nice and hot over medium high heat. Pour some oil and throw in the garlic and chicken liver. Give this a good 5-6 minutes to cook. 2 Then, you may pour in the Knorr Liquid Seasoning, oyster sauce, water and sugar! Then, there you go! This dish is done! 3 With a bowl of rice and topping it more with red chilli and fried garlic, this dish will send you to the moon and back.